Thousands of informal settlement residents from across the city are expected to march on the provincial legislature today demanding land for improved housing. Sithembele Majova spokesperson for coalition group Cape Town Informal Settlements, said they were expecting tens of thousands of residents to participate in the march. He said provincial government and city claims that there was not enough land to provide them with better housing and serviced sites were untrue. But City’s mayco member for human settlements, Tandeka Gqada, said they had provided about 23 120 housing opportunities to beneficiaries in informal settlements between the 2006/7 and the 2010/11 financial years. She said they had 526 hectares of land for housing at the moment and about 28 hectares of that space was occupied by informal settlements. 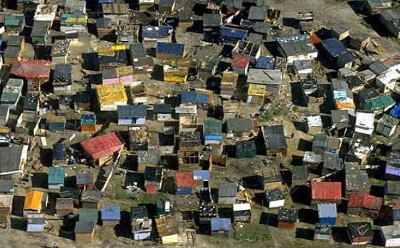 There was a housing backlog of about 500 000 people that needed proper housing in the Cape Town Metropole, which was growing annually due to urban migration. Majova said a meeting to finalise the logistics of the march was held in Khayelitsha on Monday and was attended by community leaders from areas such as Kraaifontein, Masiphumelele, Gugulethu, Imizamo Yethu and Nyanga. Buses have been arranged to ferry some of the residents, particularly the elderly into town, he said, adding that other residents will use trains and mini-bus taxies. “We are demanding access to land to land for housing. The few elite have access to land,” said Majova. He said the Western Cape government “did not have plans for the people in the informal settlements” who faced problems of flooding in winter and shack fires in summer. Majova said their march would also highlight the residents’ frustration with lack of sanitation in their communities where some residents were still having to use the bucket system. Gqada said the city purchased between 60 and 70 hectares of land annually from the private sector. Some of that land was for “immediate upgrading of an informal area while other land is for the long term future. “Land had become extremely expensive and is a very valuable resource,” she said. She said the city continued to investigate engineering and structural interventions to prevent shack fires and a large number of areas had been identified as flood-prone and uninhabitable, but efforts to prevent people from settling there had failed. In the short term, she said they assisted affected residents with flood kits, blankets and hot meals. What is going to happen when the present (and the future) crop of schoolchildren reach adulthood and start demanding houses? I am sure that South Africa does not have enough urban land to satisfy everyone’s demands, and there is certainly not enough water to provide the waterborne sewerage which now appears to be a ‘Human Right’.